Facebook has recently pulled the plug on the Moves fitness tracking app. Moves was officially acquired by the social media giant four years ago, at a point when the app was extremely popular among fitness enthusiasts, as it had around four million downloads. Unfortunately the app wasn’t able to continue its growth after the acquisition and recently has been shutdown by Facebook due to low usage. 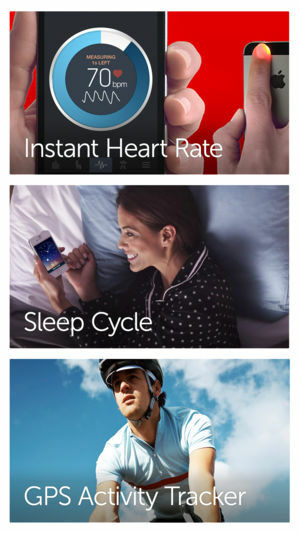 If you’re using an iPhone, what better alternative to try at first than the native Health app? 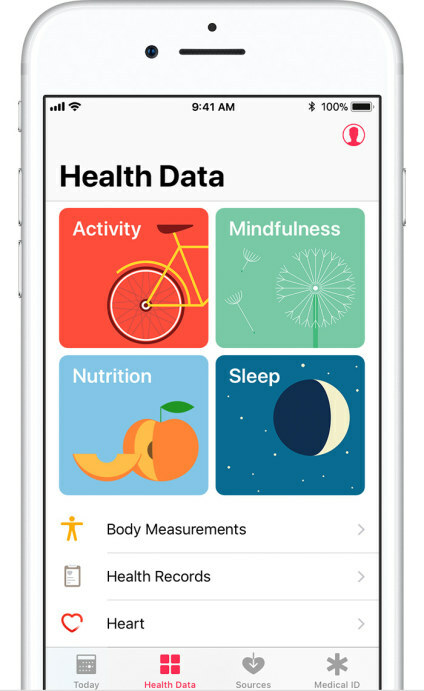 The Health app was released back in 2014 and has received considerable improvements over the years in order collect comprehensive health-related data and help you become fitter and healthier. All the information you need is stored in the app’s main dashboard, called Health Data. Here you’ll find four main categories: Activity, Mindfulness, Nutrition and Sleep. If you’re looking to get a sense of how active you are, just tap the Activity section and you’ll see stats about your daily exercise: the steps taken, the distance you covered, the time you were active, the floors climbed or the amount of calories burned. 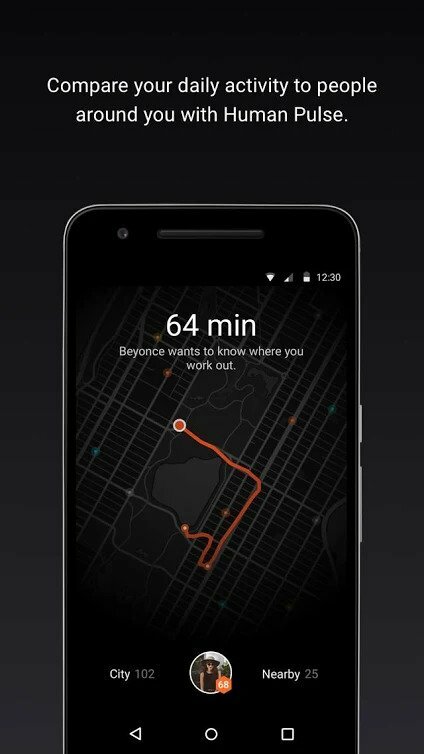 If you’re an Android user, Google Fit is definitely worth a try. Unlike Apple’s Health app, Google Fit doesn’t come preinstalled on your phone, so you have to download it from the Play Store free of charge. The app has been recently redesigned and comes with health-tracking rings in the main dashboard, at the recommendations of the American Heart Association and the World Health Organization. 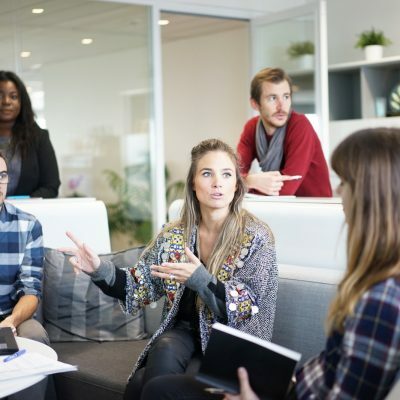 There are two main goals you can set for your daily activity called Move Minutes and Heart Points. Move Minutes records all types of movements: walking, dancing or perhaps yoga and displays all the relevant data: your distance, step count, calorie consumption and pace. 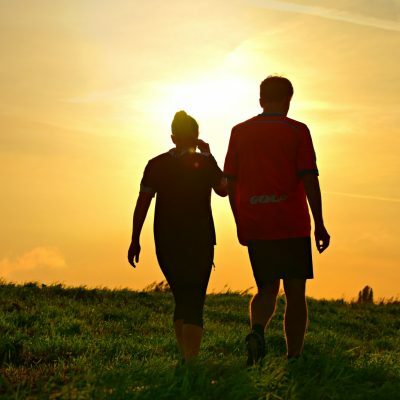 The Heart Points section requires to take things to the next level and engage in activities that get your heart pumping without going to the gym, such as taking a brisk walk for example. ActivityTracker is a pedometer app for iPhone designed to track your daily physical activity. 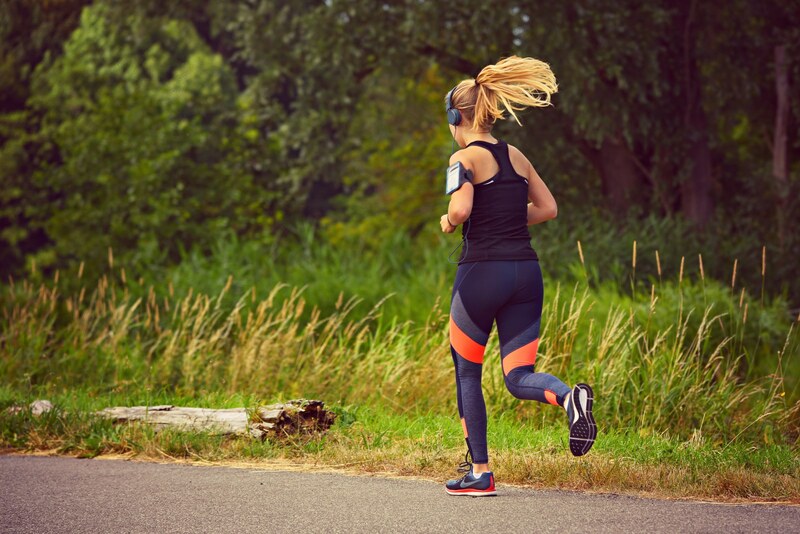 The app has an intuitive, user-friendly interface and uses the built-in motion processor to record relevant metrics, such as your step count, active time, distance walked or ran or the amount of calories burned. Since there’s no GPS usage, ActivityTracker promises to be quite gentle with your battery life. The app enables you to set a weekly fitness target, like taking 50.000 steps, and displays a daily goal based on that set target. 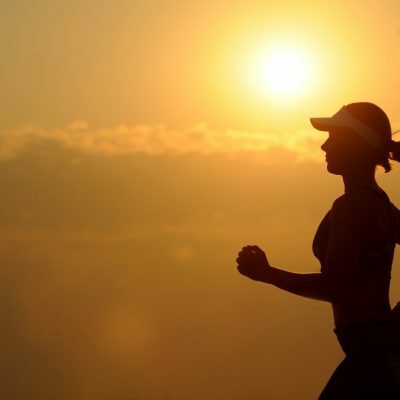 You can visualize your physical activity on a daily, weekly or monthly basis and even hourly for the current day. A Today extension is available and comes in pretty handy, because it allows you to see all the important information at a glance. 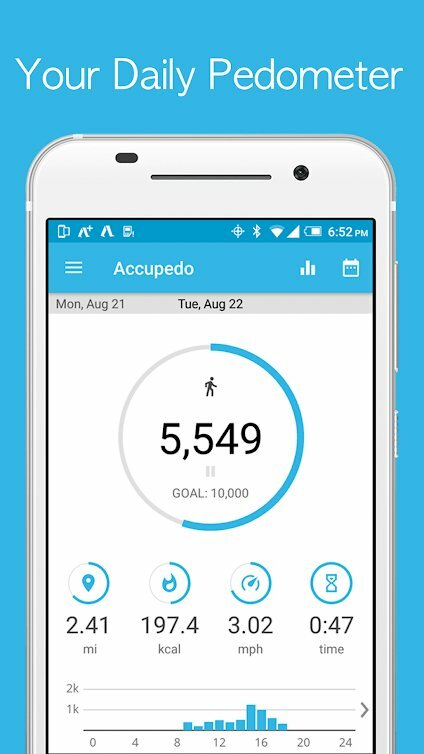 Accupedo is a step counter app available for both iOS and Android users. 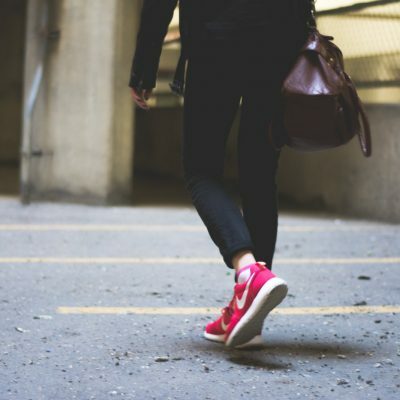 The app uses an intelligent motion algorithm to filter and eliminate non-walking activities and therefore monitors only your walking patters. 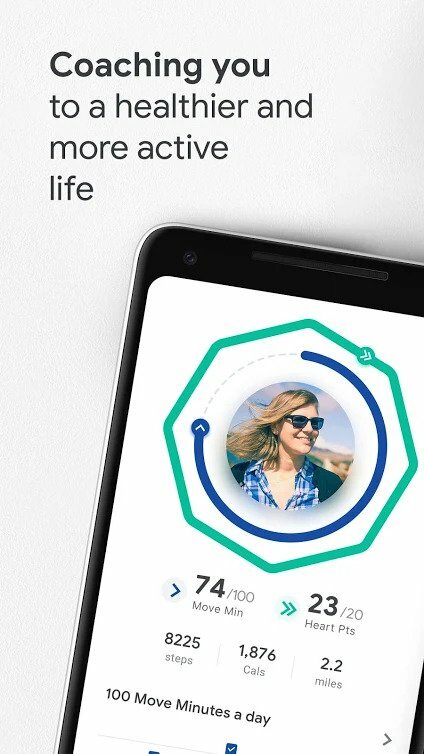 As long as you’ve got your phone with you, Accupedo will track the steps taken, the distance, the time you were active, as well as the calorie consumption. The app motivates you to be more active by allowing you to set a daily goal for yourself and keeps you updated with your progress through easy-to-read charts. You can pause, resume and even stop your step count at any moment during the day. If you feel like letting you friends know about your fitness achievements, the app gives you the opportunity to share your daily log on Facebook. 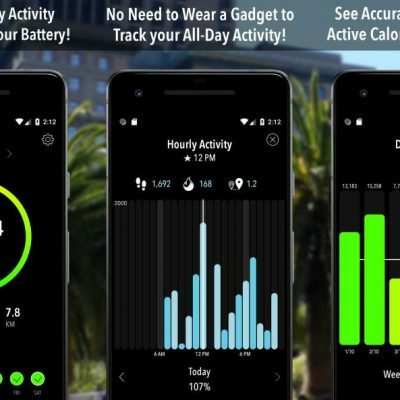 Argus is an all-in-one fitness app for iOS and Android. The app is designed to help you improve your overall health by becoming more physically active, by sleeping better at night and by making smarter choices when it comes to nutrition. Argus keeps track of all your movements, from the steps taken during a walk to work to the active cycling time in the park, and provides in-depth analysis and charts regarding your health. The app monitors your sleep patterns and helps you wake up at the right moment. It also comes with a comprehensive food database so you can keep a close eye on your calorie intake. Additionally you can invite your friends and family to compete in various fitness challenges. If you’re looking for a simple step tracker app for iPhone, this is the right solution. Pedometer++ counts the steps taken, flights of stairs climbed, the distance covered, the total active and the calories burned and shows you all this information in easy-to-read graphs. The app allows you to set a daily step goal and to visualize your progress from within the app or the Today View widget. 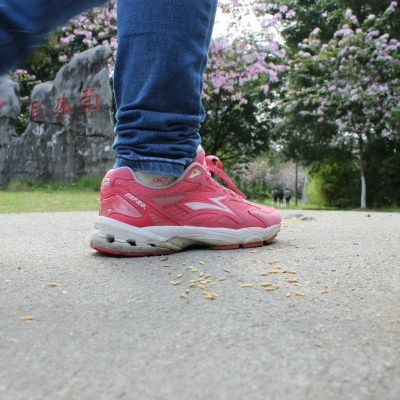 A cool feature of Pedometer++ is the fact that it rewards you with a confetti burst when you reach your fitness target. Also worth mentioning is the fact that the app has a minimum impact on your battery, since it uses the motion processor instead of GPS. Human, available for both Android and iOS, is not your standard activity tracking app. Unlike other apps, this one focuses not on the steps you take during the day, rather on the minutes you’re physically active. Human has for each of its users a #Daily30 goal, which means you have to be active for 30 minutes every day, whether it involves walking, running or biking. The app focuses primarily on outdoor activities and starts recording when you’re engaged in a physical activity of one minute or more. The cool feature about Human is the fact that it tracks your movement and, at the end of day, it lets you compare results with other people in your city or neighborhood.